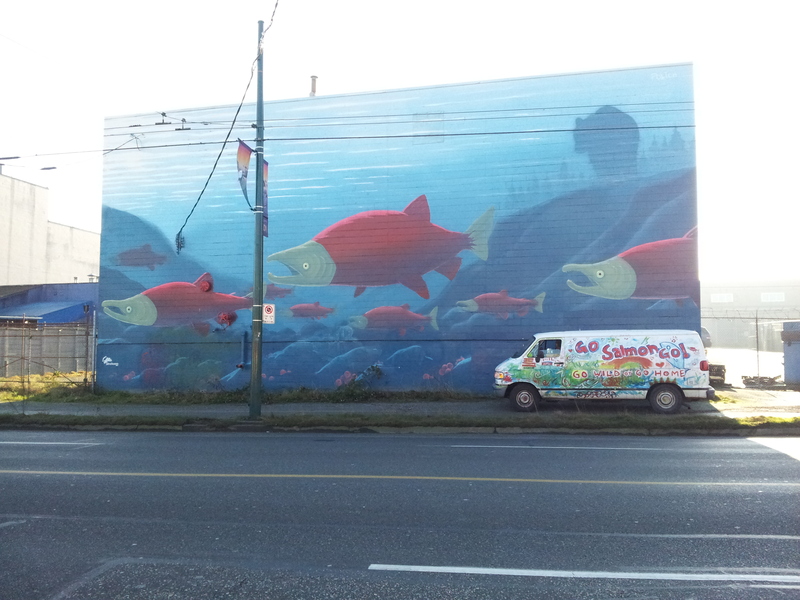 Wild Salmon Van, Powell Street, Vancouver BC, Coast Salish Territories, Canada. Mural created by Todd Polich of Earth Foundation.sponsored by the Strathcona BIA. Wild Salmon Van, a J Peachy Gallery project.